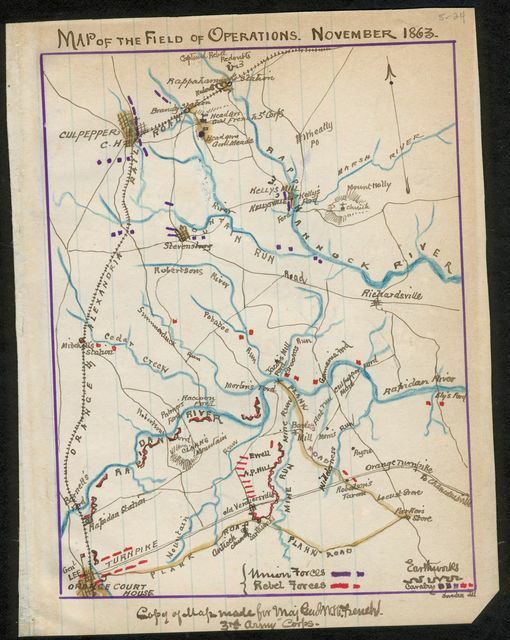 [Map of mineral lands in Culpepper County, Virginia, on the Rapidan River]. 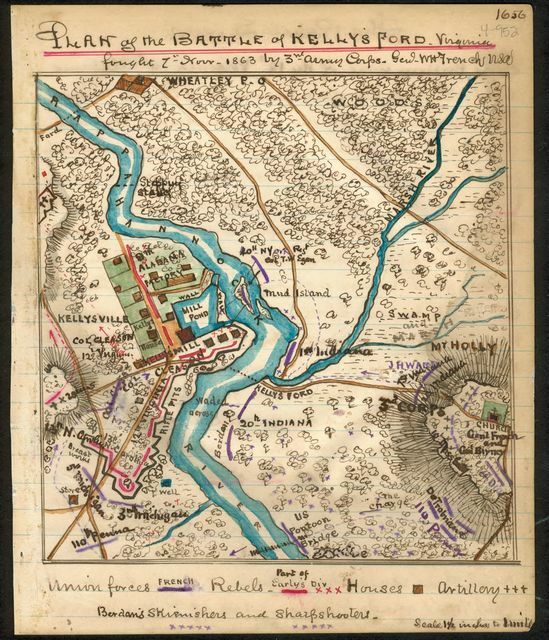 Map of the field of operations, November 1863. 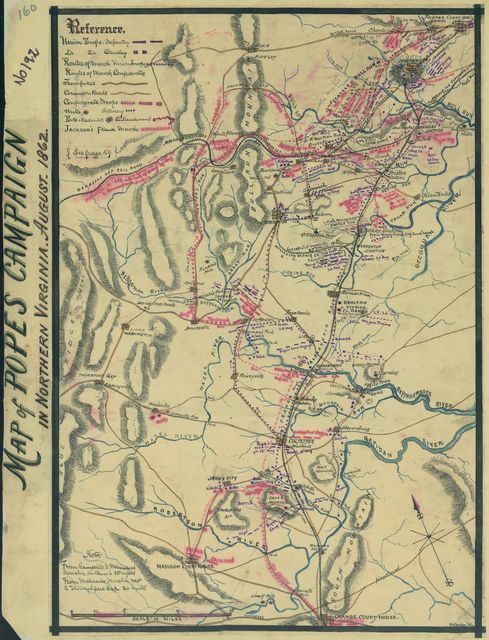 Map of the field of operations in Virginia and Battle of Mine Run, during November 1863. 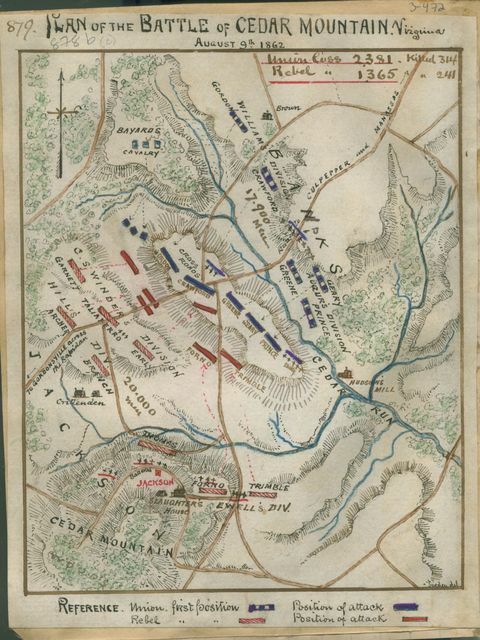 Plan of the Battle of Rappahannock Station November 7th 1863. 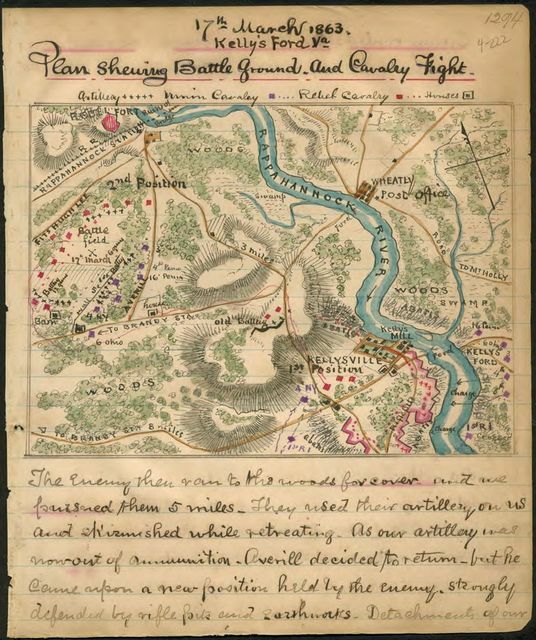 Plan of the Battle of Cedar Mountain, Virginia, August 9th, 1862. 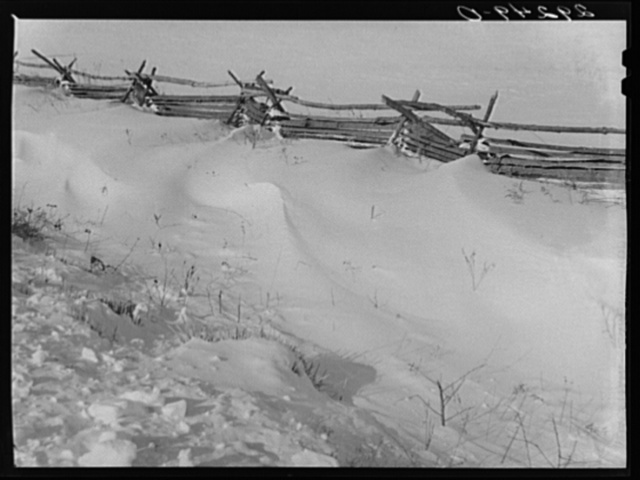 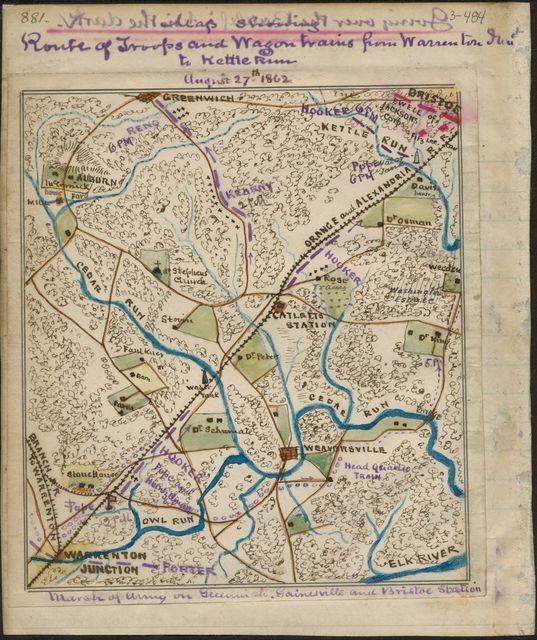 [Sketch of the road from Somerville to Jonas Run, beyond Stevensburg, in Culpeper County, Va.]. 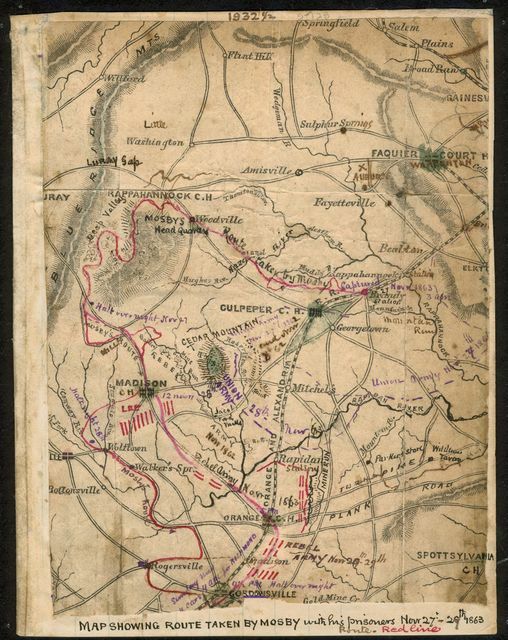 Battle of Kelly's Ford, Va. Plan of position of Union and Rebel forces at 1 o'clock 7th Nov.
[Map of portions of Orange, Louisa, Spotsylvania, and Culpeper counties, Virginia]. 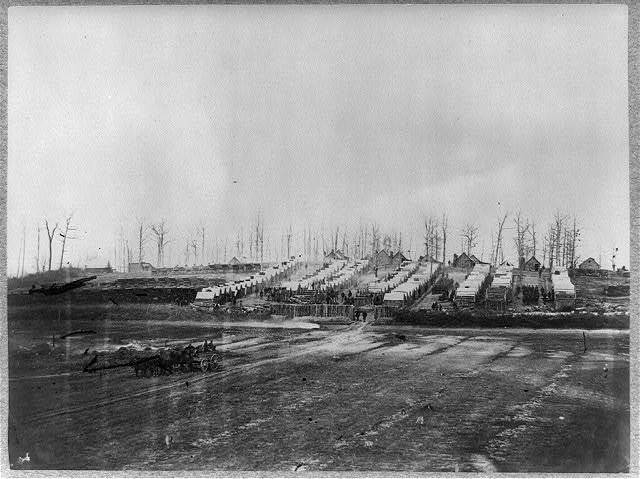 Plan shewing [sic] battle ground and cavalry fight, 17th March 1863, Kelly's Ford, Va.
[Fauquier Co., Va. : northwestern part]. 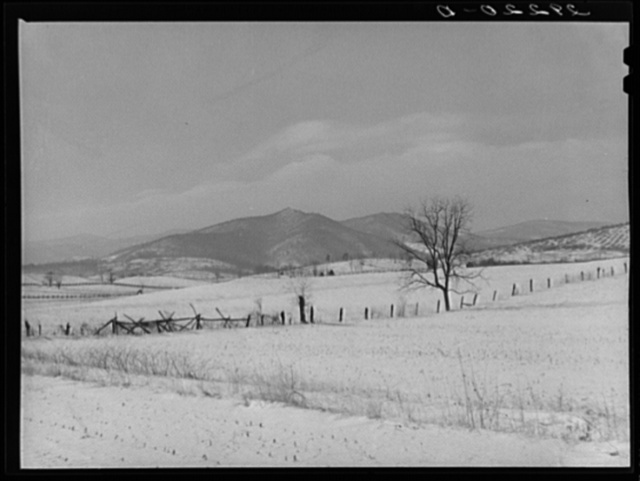 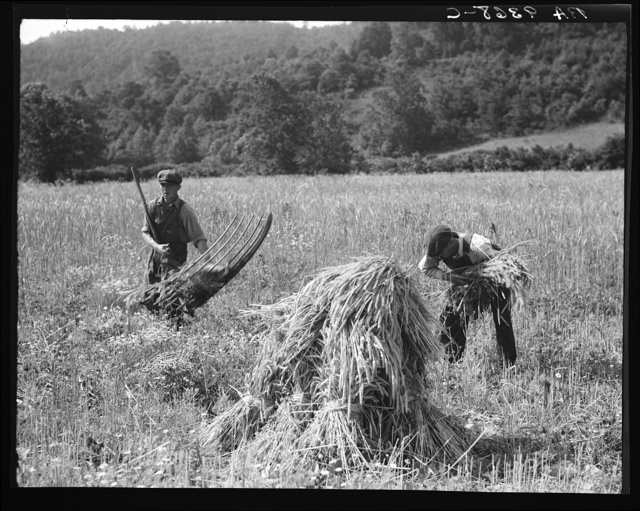 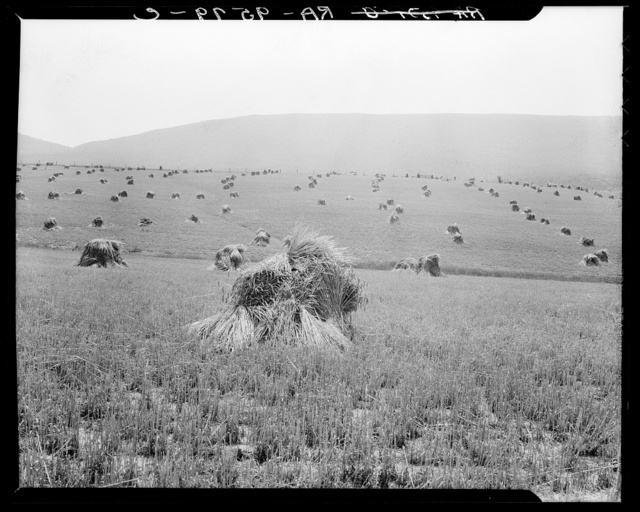 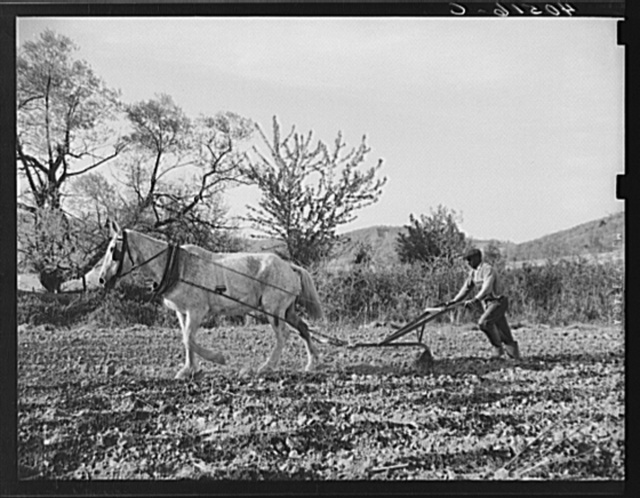 [Culpeper County with parts of Madison, Rappahannock, and Fauquier counties, Virginia]. 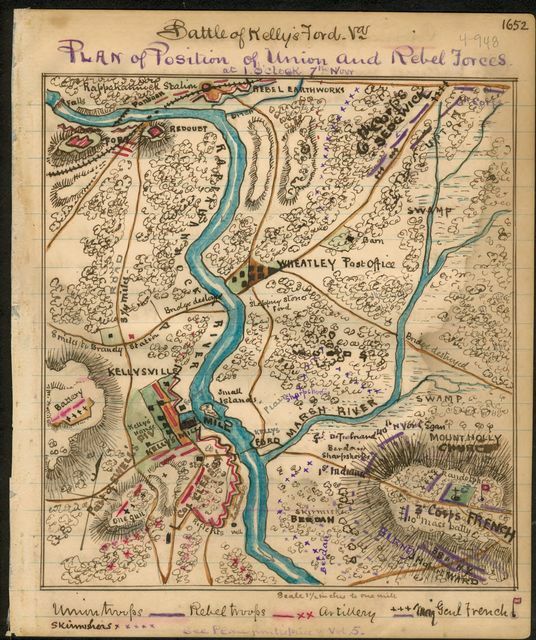 Map showing route taken by Mosby with his prisoners, Nov. 27th-29th, 1863. 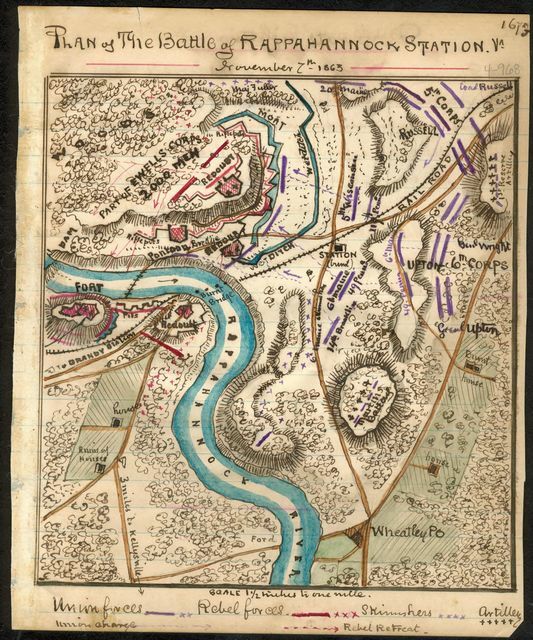 Plan of the Battle of Kelly's Ford, Virginia : fought 7th Nov. 1863 by 3rd Army Corps Gen. W. H. French U.S.A.
Camp of 50th New York Engineers near Rappahannock Station, Va.